Luxury is often defined through the use of (frequently relatively superficial) artifice. 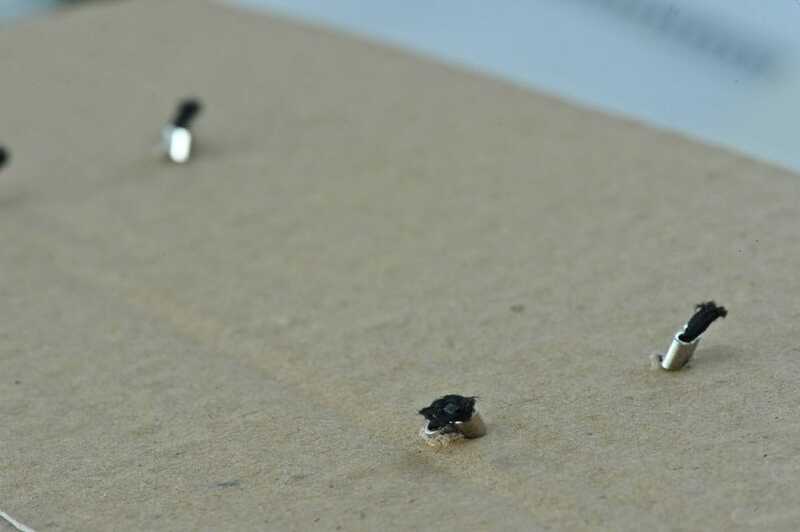 The quality of many wristwatches is often reflected in the expensive-looking, occasionally handmade and frequently large presentation boxes they come in. The sheer size of this packaging is a headache for the retailer, who hasn’t the space for it all, and a delight for the new owner at the moment of the purchase. 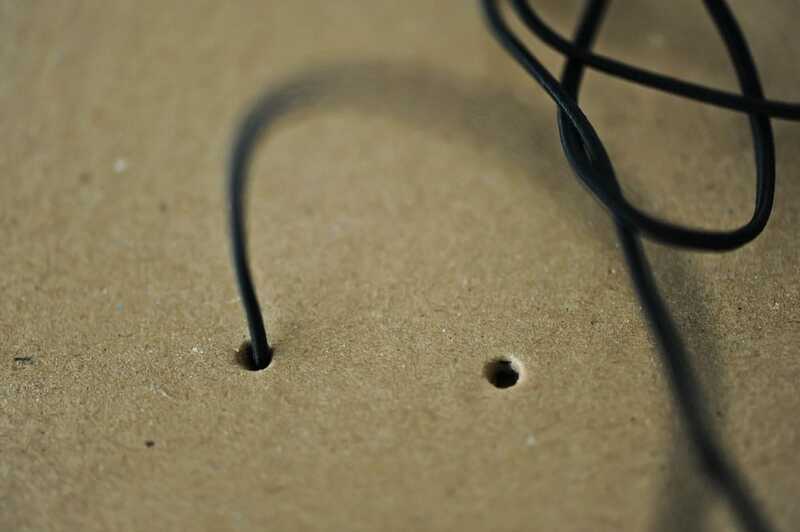 But then that over-sized packaging disappears into the bottom of a dusty cupboard, never to be seen again. So what’s the point? We think there’s a better way to go about it! 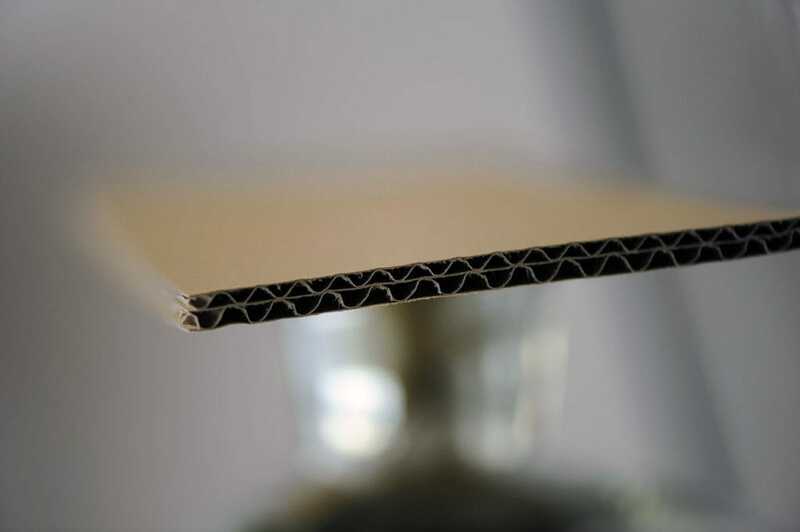 Ludwig Oechslin hit on a novel form of packaging for the packaging – it’s something that has been attesting to Swiss quality on a daily basis for more than 250 years: the Neue Zürcher Zeitung newspaper! Wrap the watch in the paper, hand it to the buyer, he or she sticks it under their arm and walks out of the shop! It’s what we do at Embassy, Lucerne, whenever we sell an MIH. 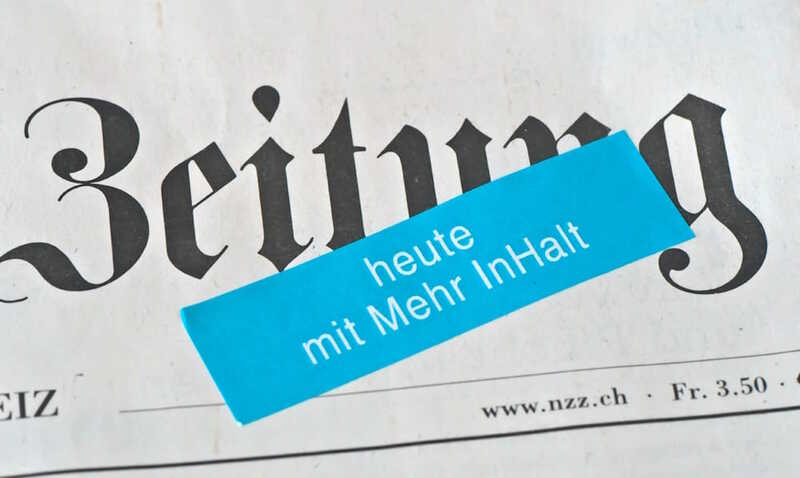 A little piece of Velcro attaches the watch to the booklet it comes with, then the booklet is stuck to the NZZ with a blue sticker – and that’s it. Cost: CHF 13.50. 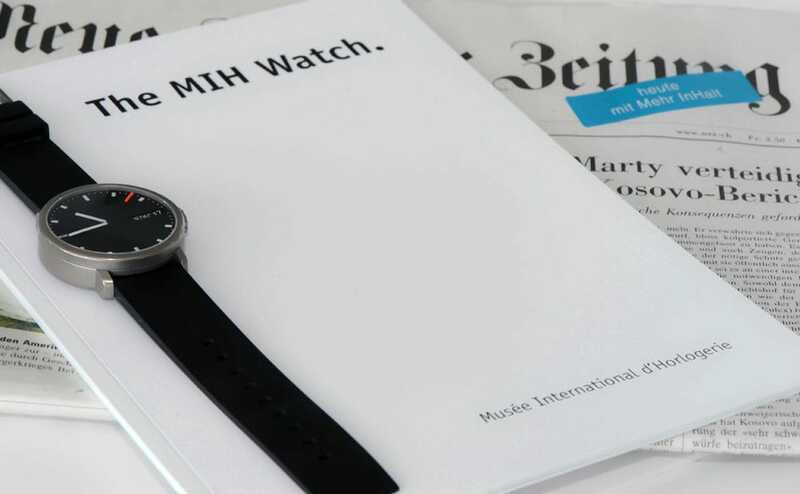 If the owner unearths today’s NZZ at the bottom of that dusty cupboard (next to the huge boxes of other watches…), he or she will remember 18 December 2010, the day the MIH watch was bought. Alternatively the newspaper can simply be recycled after it’s been read. We’re doing something similar at ochs und junior. 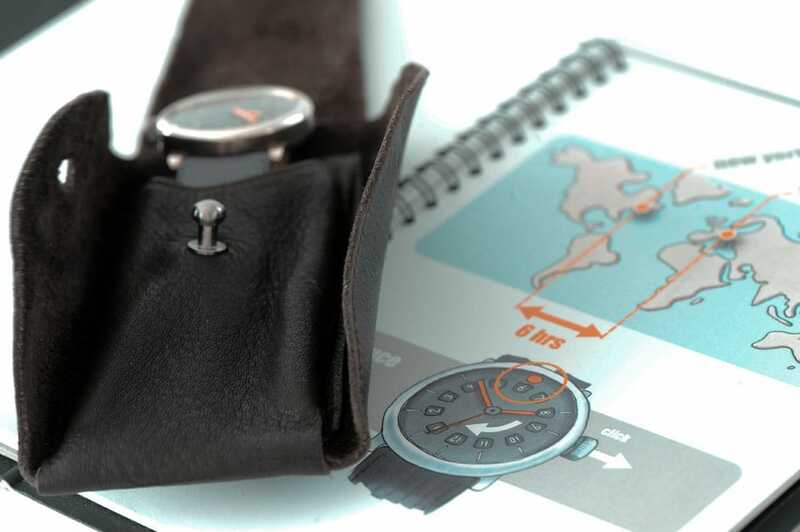 The watches come with a booklet describing the background of ochs und junior and its watches. The children’s watch (the settimana junior) gets a cartoon. 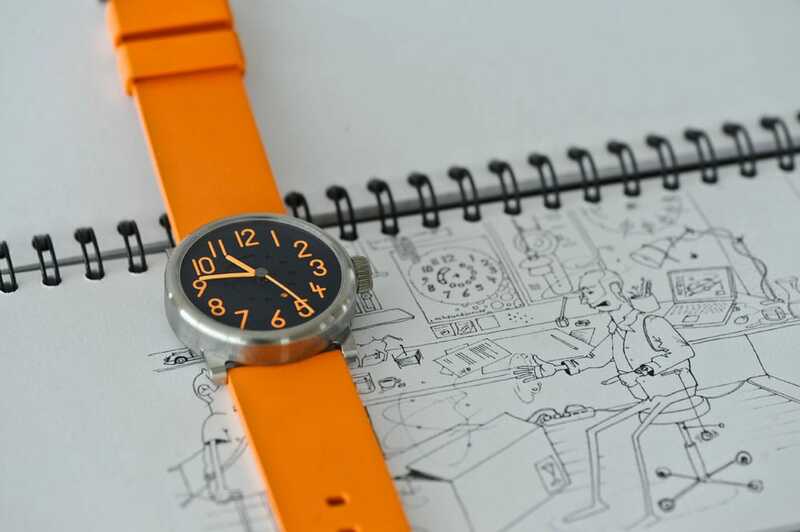 An intuitive story that leaves plenty of room for the imagination while at the same time explaining how the watch works (the photo shows the settimana junior against one of the ten cartoon prototypes). The ochs und junior anno cinquanta takes a different approach. 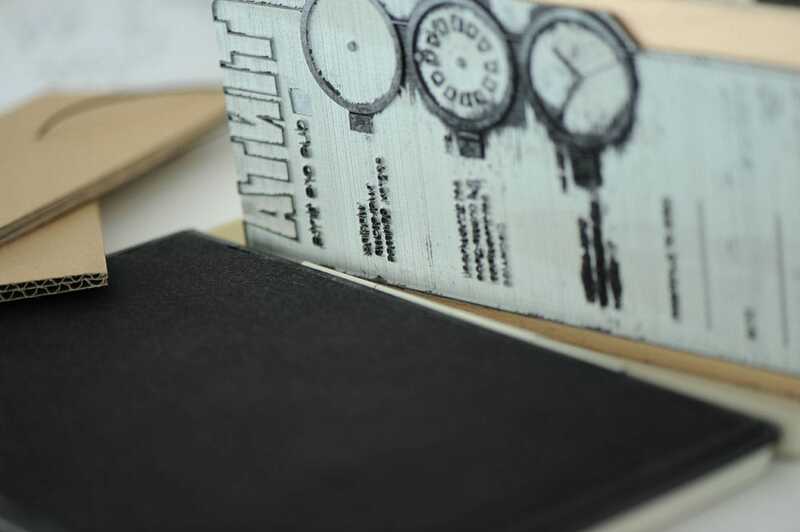 The booklet is printed on recycled paper and bound using recycled card, while the watch itself is presented in a handmade leather wallet. 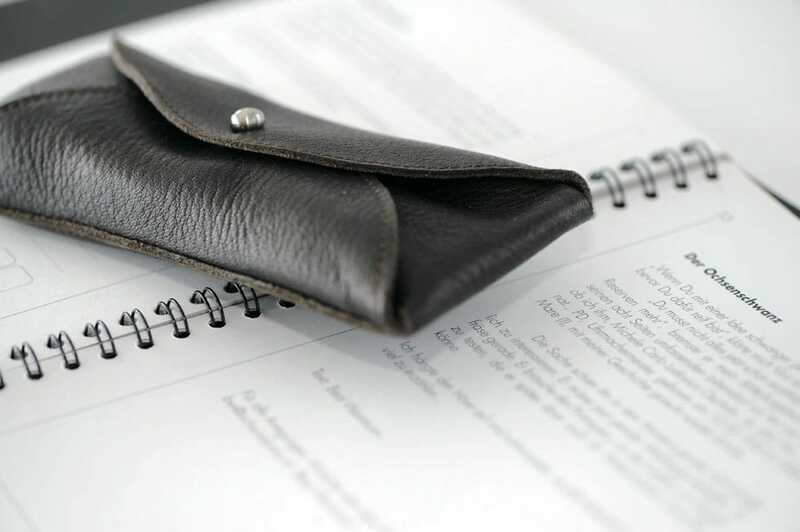 The wallet is really useful, as it can be used to safeguard other brands of watch, too. And now we have our tinta! One of the possible interpretations of the ochs und junior ‘idea’ concepts. What’s the best way of presenting it? What ideas would flow into this version? 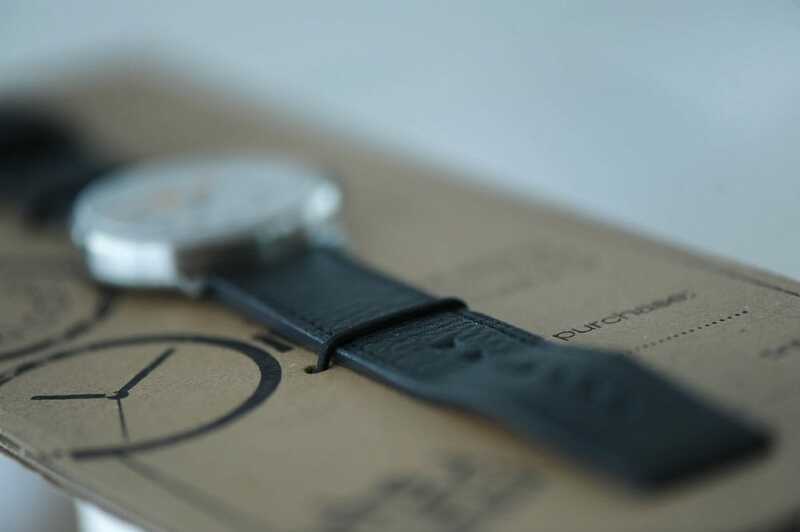 Each of the ‘idea’ watches has a large wooden stamp containing the instructions, the purchase date, the number of the colour of the dial (tinta only) and the URL of the ochs und junior website. 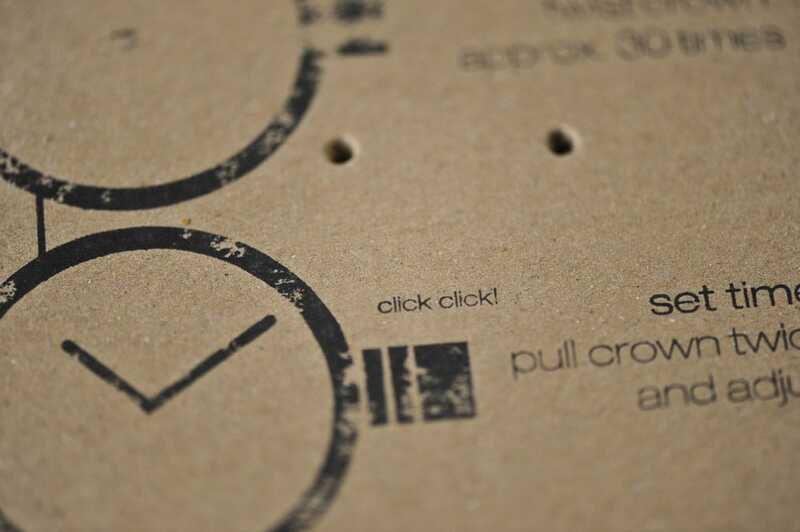 We manually stamp the cardboard as carefully as possible (though it’s never perfect!). The watches should be ready in February or thereabouts. … job done, and all for CHF 1 (we don’t count the cost of the stamp or of Sjoerd’s drawing). Here’s a picture of the first (almost) finished tinta in its 42 mm titanium case. We’ll show you the definitive tinta in the next blog in a few days’ time. It looks and feels amazing in the wrist. Very light, very immediate – people react very positively to it and its great to ski with – it’s currently snowing in Lucerne! I forgot to tell you about the branding. 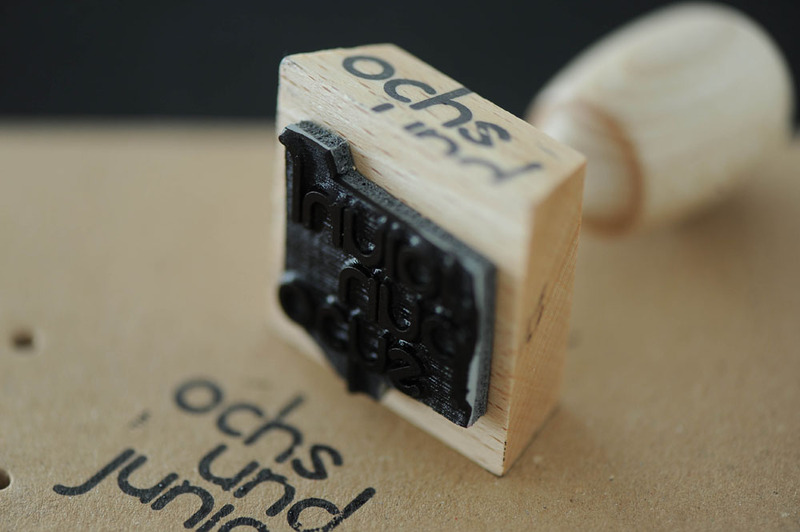 the ochs und junior logo is burnt on (in classic branding fashion), embossed or stamped… Sure, it’s whimsical, but that’s typical of ochs und junior.